These plants grow their fruits in large bunches. The leaves of the banana tree were used by the locals to make house roofs a long time ago. More Details: not much to say other than it is a tropical tree that grows bunches of bananas. It is obvious they grow in the beach area of the game although not all plants grow in the areas they normally would in this game. A simple design is all that is needed for this. This is a fruit tree that is in SingSong Beach in the world of my work in progress game MEGA Craft (in game world name not confirmed yet). It is a world dominated by 3 intelligent creatures. The ponies, the wolfs and the dolphins (actual names pending). The ponies are warriors and very brash and aggressive, the wolfs are hunters which prefer using archery and traps and the dolphins are uppity mages. The world is covered with magical creatures and is dominated by the concept of crafting and collecting. One's value is associated with what they can craft and the places they have been to achieve those fetes or at least that is what you think. You are one of the 3 dominant species who is fed up of its normal farming life and goes on a quest to become the best crafter there has ever been. SingSong Beach is a large sandy beach surrounded by the sea with banana trees dotted around. It has some patches of healthy grass and flowers but mostly it is little sand hills with dotted tropical trees. There is a single little cliff left here where you may find a different creature. There is also a muddy flooding circle of land with a whirlpool inside. To the right is a wooden pier which leads to the sea town nearby. If you carry on ahead then you will find an underwater forest called Deepsea Forest. The trunk is made of sections of curly bark and the leaves are large and floppy. The bananas grow in large bunches in the tree's branches. It looks like a normal banana tree in real life basically. This is a doodle concept art for a fruit tree designed to be used in my work in progress game MEGA Craft. 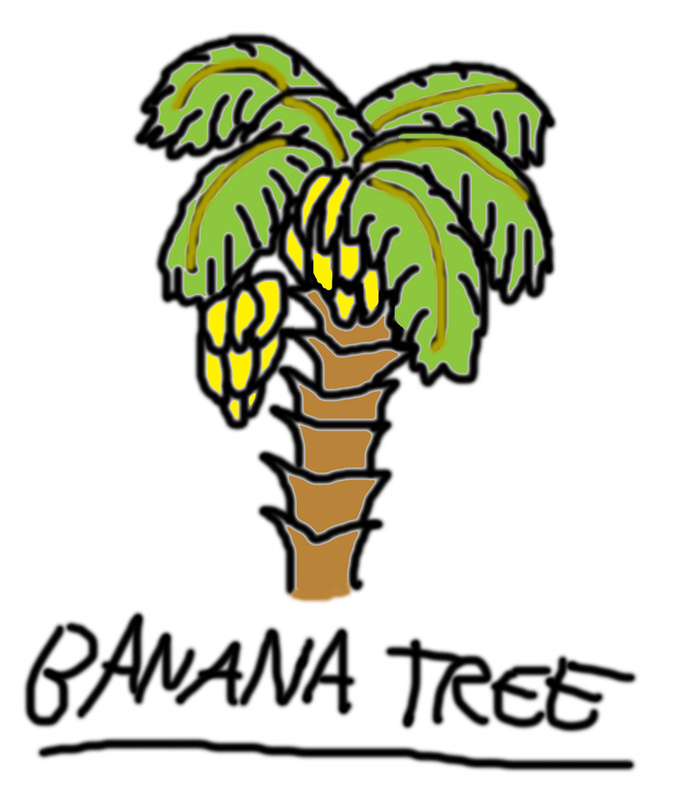 The tree is a simplified design based on the real banana tree with larger fruits and bolder colours so it is clear what it grows and each tree stays distinctive.